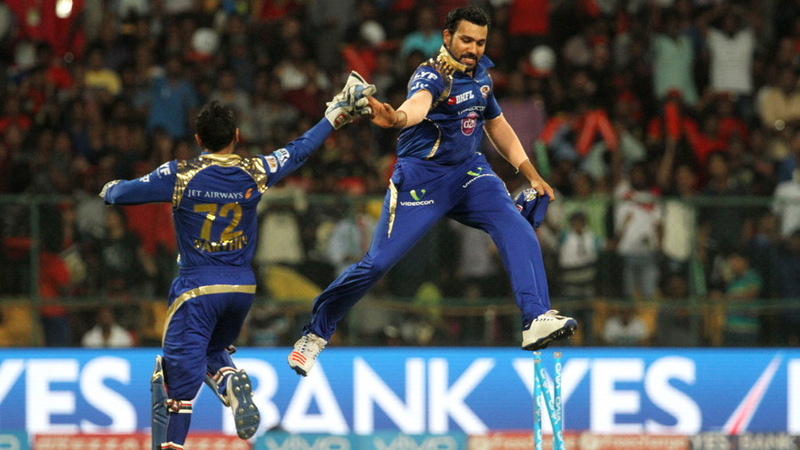 There was a lot of work to do for Mumbai Indians, and the sanest way to go about it at the M Chinnaswamy stadium is to chase. 'Forget about the Sunrisers game,' was the message from their camp but that's easier said than done when you had been knocked out for 92 and then lost by 85 runs. So Rohit Sharma and his bowlers did the next best thing - they drew a rage from it, the rage to win and show they were better. Mumbai allowed Royal Challengers Bangalore to score only 151 and chased it with six wickets to spare. The pitch on Wednesday was the one that had been used in Bangalore's first IPL game this season, when the hosts had amassed 227 for 4. But it behaved rather unnaturally. It was dry and offered grip even to a brand new ball, which contributed to Kohli's first single-digit score in 10 innings. Then Chris Gayle, who had been dropped on Saturday and didn't play on Monday either, was dismissed for his fourth single-digit score in four innings. 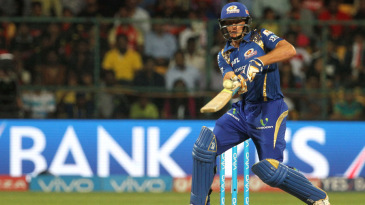 Mitchell McClenaghan and Tim Southee were responsible for those blows and put their sore feet up for the entire second innings.